There's a new magazine in town! Have you seen it? It's published by the lovely Heidi of foodiecrush. She publishes regular blog posts in addition to this scrumptious online magazine. I'd recommend taking a peek when you have plenty of time and a full stomach. Once you get to page 46, you might see a familiar face. Yep, that's me! I'm sharing my family's traditional holiday cookie. My grandmother found the original recipe in a Betty Crocker cookbook circa 1950. The recipe is notorious for being loved by men, and it was actually created by one - an executive from New York City that made them for Christmas one year and submitted the recipe to the magazine. My mother made them last summer, on request, to send to my father and brother while they were thru-hiking the Appalachian Trail (all 2,178 miles! ), and my bother gave himself a stomachache from eating too many at once. I made these back in August to meet the submission deadline, and it made me wonder why I don't just make these year-round! It was so fun to evoke the memories and emotions of the holidays during the summer months. I threw in some orange to give these bad boys some extra zest - perfection. 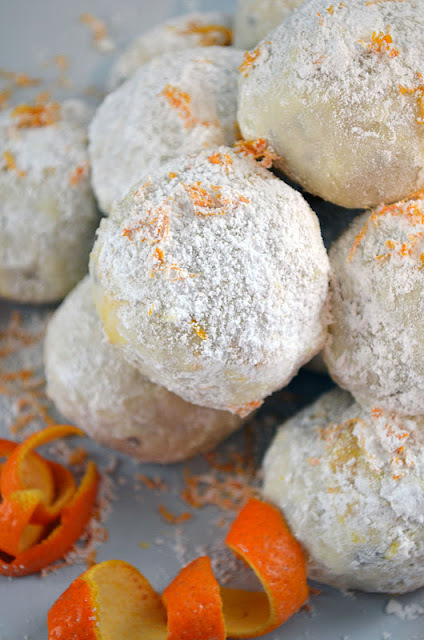 Make these this holiday season, and feel free to call them snowballs. Makes more sense to me, too. 1. Beat butter, sugar, orange zest, and vanilla in the bowl of a stand mixer fitted with the paddle attachment or using a hand mixer until light and fluffy. 2. Reduce speed to low, add salt, then gradually add flour and pecans until the dough comes together. 3. Cover and refrigerate for at least one hour. 5. Shape dough into smooth 2-inch balls and place on an un-greased cookie sheet, or one lined with parchment. Dough balls can be placed as close as 2 inches apart as the cookies will not change much in size during the baking process. 6. Bake the cookies 8-12 minutes. Cookies are done once they turn golden on the bottom, but are not yet brown on the tops or sides. 7. 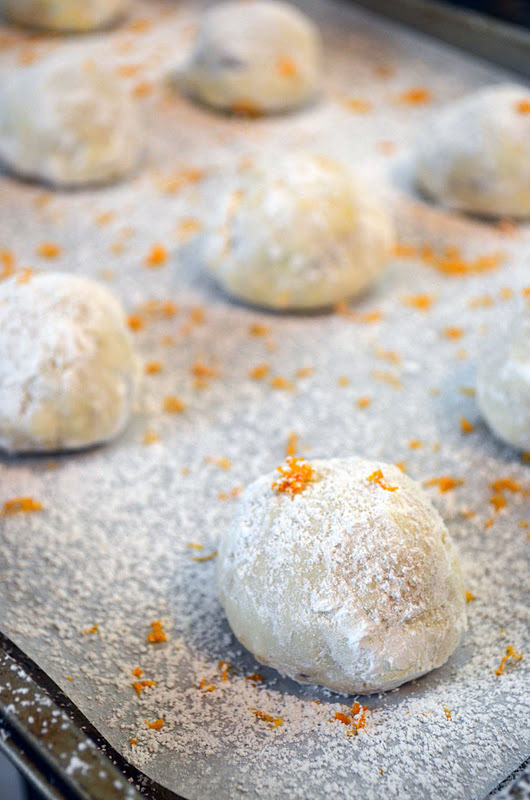 Immediately remove to a cooling rack and roll in powdered sugar to coat, then return to cooling rack. 8. Let the cookies cool completely, then roll in powdered sugar once more. 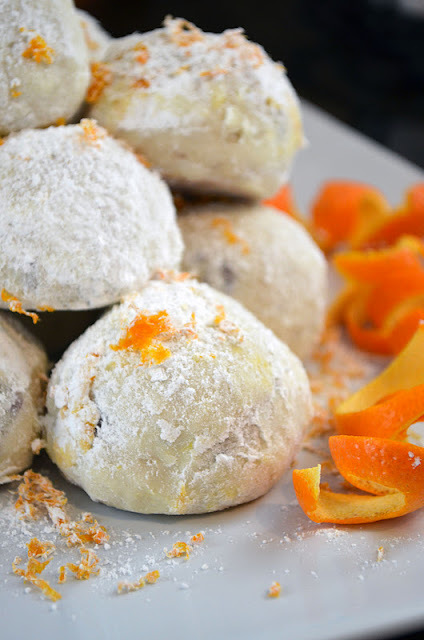 Note: orange zest may be added to the powdered sugar the cookies are rolled in as an addition to, or in replacement of the zest garnish. These cookies ship well to out-of-town relatives - our family counts on my mother sending them every year. I have Russian heritage and grew up eating these, and making them, with my Grandma. Love that you added orange. 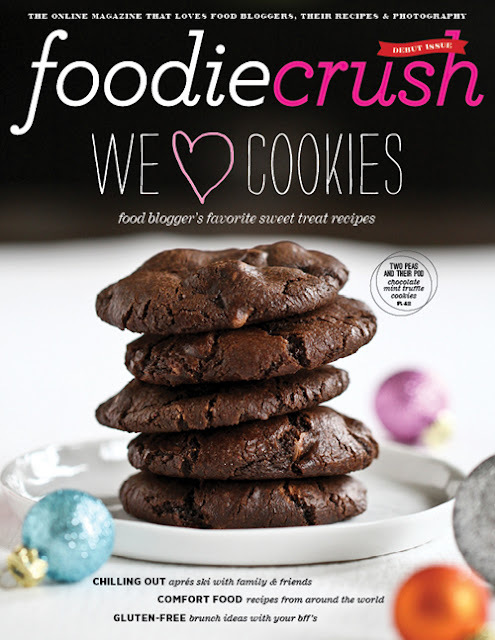 And FoodieCrush...such an amazing thing that Heidi has done! These sound amazing! Congratulations on being featured in the mag...the whole thing is gorgeous! That's why I missed the deadline! It was in AUGUST! Divine cookies! those flavors are just out of this world.